Juhani Pallasmaa described the first sensation the body gets when touching the front door handle is similar to that of a handshake, and that the handshake of the building was the first impression of the home. Well Juhani, as brilliant as your thoughts on architecture are in forming the design worlds ideas about the senses and the design experience, did you ever consider the idea of the residential foyer as the first impression? Yes, the door handle lets you get your first impression of the home, but the foyer allows you to peel back that top layer and really get to know someone, or the home inhabitants in this case. Our foyer should define us. Our foyer should be us. Design, like art and fashion, is a personal experience, and a way to project our thoughts, feelings, and ideas onto the world. What better place to do this than in the entrance of the home. Maybe you are an abstract art aficionado, or a sculpture collector. 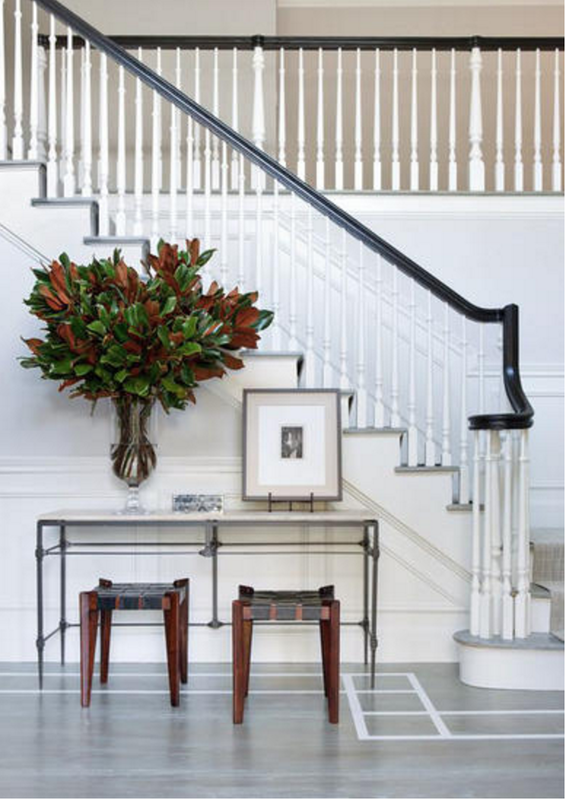 Whatever your artistic passion, let it set itself free in the pieces you meticulously choose to place in your foyer. People always ask.. why interior design? Well, here's my story. Meraki (n.) The soul, love, or creativity put into something; the essence of yourself that you put into your work. It was the first day of design school, a blistering hot summer afternoon in August. While all my friends were at the beach enjoying their post-grad life after just finishing undergrad work a month prior, I decided to push my limits and take a leap of faith and enroll in a graduate Interior Architecture program at Endicott College thinking, well, at least I can still see the beach from the classroom. This was real design school, not the made up reconfiguration of my undergraduate communications degree, where I slightly rearranged my schedule to include those ‘creative outlets’, aka the eight art classes I somehow managed to mold into my schedule, convincing myself that everyone needs a creative outlet. Well, the very first day of design school I learned something extravagant; that we, as designers, are here to change the world, and we can do so by pushing the limits of our knowledge, inspiration, and mental capabilities. It was that second when we jumped right in to the lengthy hours of learning four new computer programs in a week in order to bang out a design board for our final project, which also meant enduring the fight which is the printing room that I knew this was going to be a long road. Who would have thought that simply pressing print resulted in a blank page coming out of the printer the wrong way? It was a feat from the beginning, all aiming at reaching one goal: pushing limits. It was suggested that when we begin a design we should come up with a concept and break down an idea into parts. For me, this meant meticulously looking into words, through definitions, and trying to recreate them visually. This actually helped me to form what I consider to be my own religion- looking into definitions. It sounds nerdy when you think about it, strolling through a dictionary for fun. But, this lead me in many different directions and finally, I found my life moto in one single word, meraki, a word with Greek origin, and the essence of what it would mean for me to become a designer. I have always known that I wanted to start my own residential interior design firm, and connect with people on an intimate level to help them create a home that they love, one that promotes a positive lifestyle. Many people outside of the industry think of interior design and might think of words like ‘materialistic’, ‘trendy’, or ‘chic’. But, this is not actually the case at all. We are designers because we want to change the world; because we want to make it a beautiful place to thrive and live, a space of efficiency and positive energy. I have quickly come to realize that this is how I will change the world. We all have something we are passionate about, a little crevasse in the gigantic world in which we can make an impact. And that was my mission. I got a job, working the three days I wasn’t at school, and launched my interior design firm and got down to business, pun intended. Now, the long hours of designing from 7am – 11 pm straight isn’t easy that is for sure, in fact, even the shower has become a time to think about design concepts. But, I believe the harder I work, the more of myself and my ideas can be placed into the world through design. My philosophy for working with clients is to help them to transform their life and find the niche that helps them to transform the world as well, making design a driving force for positive change. For me and my focus on sustainability at school, moving towards an eco-friendly way of life is essential. Here is another definition for you, since this is how I like to think about things, and in fact, the title of my very first studio project. Biophilia: the idea that views of and contact with nature can improve our health and well-being. We need to connect with nature, and if we can recognize this, there is sure to be a transition to more sustainable homes and buildings in the built environment. This is part one of my personal design mission. In a more formal manner we must consider the impact design has on our environment. Which brings me to part two of my design mission. Another word to move towards; wabi sabi- a Japanese aesthetic suggesting that we must find beauty in the imperfections of the world. This can be completely related to design and the pieces that we meticulously chose to place in our design, weather it be architectural features or a piece of furniture. This could be as practical as utilizing an old buffet regardless of its scratch and crack. We are finding the beauty in the story, and the imperfection that the piece has endured. And finally, the last portion of my design philosophy, part three; Inclusion. Which to me, means making design accessible to everyone through pushing the limits for universal design. This could mean planning for ADA regulated spaces, or making design accessible to those living in under-privileged areas. If, as I mentioned above, design will be a chance for us as designers to change the world, then we must include everyone in our master plan. The biggest idea I have learned so far from these grueling, yet wonderful past eight months of design boards, Revit families, and concept models is that we must fuel our passion for design with innovation and ideas that can change the world around us. We must look to things that have never been done before, or look to improve things that are being done now. Change, something I used to be terrified of is now what fuels my design thinking. Interior design is most definitely not about picking out pillows, but completely about changing the way people live, and transforming our society into a cohesive, positive, beautiful space, one surrounding at a time. If you're anything like me, this time of year brings you much joy. With the rise in temperature, longer days, and things starting to come back to life, there’s much to be happy about; Not to mention it’s the time of organizing, purging and replenishing (my favorite!). I finally have an excuse to organize all of my things and figure out what I should keep, what I need to get rid of and the best, what I should add. This year I decide to do things a little differently. I hate going crazy buying all these super cute- trendy pieces to only get rid of them next spring. It’s a viscous cycle and we all do it. Some of us might overbuy shoes, bags and jackets, but no matter what your kryptonite is- it needs to end. It just doesn’t make sense for our wallets. As Americans we tend to overbuy, we are all too eager to have the best and newest fashions, but those trends come and go so quickly that threes no point to even give in. I will be the first to admit that I definitely fall into the category of constantly replenishing instead of purging, but there are ways around it. Take a look below to find out how you can replenish your spring wardrobe without spending half as much as you usually do. Make money on the items you're getting rid of: Get rid of those “one-day pieces”, almost all of us are guilty for holding onto that pair of jeans that you'll eventually fit into again or that sweater that was 50% off so you had to buy it but have yet to wear. It’s time to get rid of them! If you haven't worn it in the past 60 days, then get rid of it. There are so many ways you can make money on your old or unloved items. Apps like Poshmark allow you to create and sell items in virtual closets that look like an Instagram feed. ThreadUP sends you a reusable bag that you fill with all your donated clothes and they send you a check in the mail and take away all the middle man work. Madewell will give you $20 dollars to a new pair of jeans when you bring in and donate an old pair. There are so many ways to get money for the items you no longer wear. So there are no excuses!! Have a Trade Party: Host or attend a trade party with friends where you all bring your old clothes that you no longer use anymore and trade each other for them. Make it fun by serving appetizers and cocktails and leave your wallet at home! Thrift Shops: Todays fashion world has broadened so much then what it use to be. In the world of fashion, it’s more “in fashion” to be creative and make your own style then it is to completely copy the mannequin. Be thrifty and experiment with different styles. Who knows maybe you're missing out on something totally amazing. Being in the digital age means there are a ton of online thrift shops as well, laziness is no excuse anymore! Shop sites like Poshmark, Threadup, Shop Melee and many more. So go ahead and start cleaning out and upgrading your spring wardrobe!! I've wanted to go to Charleston, Hilton Head, and Savannah, Georgia since before I can remember, so finally this Spring Break my mom and I decided to go on a last minute road trip down South. We called it a "business trip" but really we were aching for some Vitamin D. We found a great deal in Hilton Head, at the Westin Resort, and it was the perfect location to stay right in between Savannah and Charleston. Sometimes the last minute trips can get you some great deals! We were able to stay at the Westin for just over $100 a night, which was normally upwards of $500. Now, I can't say that I would recommend the actual driving portion of the journey. We sort of just got in the car and drove, unaware that this ride really was truly going to be upwards of 16 hours! I would probably fly next time. But, driving did give us the flexibility of having the car and stopping as we wished. After 16 grueling hours in the car, we made it to Hilton Head. Now, the Westin was a dream resort. There were three pools, multiple restaurants, and it was right on the beach. I think we lucked out on the timing of our trip because this apparently was the end of their low season. We got upgraded to a corner room with an ocean view, which of course we didn't mind. Also, points to the Westin for their sustainability initiative- if you didn't have the housekeepers completely clean your room every day, you would get a $5 reward for each day, which meant free coffee at their on site Starbucks (another bonus)! So, we spent the week exploring Hilton Head, which as you probably know, is definitely all about golf and the beach. Unfortunately, my mom and I don't golf so we spent our time at the pool and the beach, and shopping. We discovered the cutest little town called Bluffton, which is about 15 minutes away from Hilton Head- in between there and Savannah. There are galleries, shops, and restaurants. If you decide to stop by you must, you MUST get a caramel macchiato at the Corner Perk Cafe- by far the best one I have ever had... and trust me I drink a lot of coffee. This little stop is definitely worthwhile if you are in the area! It's home to Spartina's flagship store as well. I was able to get a rack of ribs and some cornbread at the Smokehouse in Hilton Head, which I highly recommend. We searched out places on the water to eat and our favorites were the Salty Dog Cafe and the Skull Creek Boathouse. We took a day trip to Savannah from Hilton Head, which in our opinion, was just enough time to get a feel for the city. We did a lot of shopping and exploring the streets of the city. The Paris Market was a MUST SEE, as well as 24e Design Co., which could quite possibly be my favorite home boutique to date. One Fish, Two Fish was another good home store. The streets were filled with cute shops, and of course taking a stroll through Forsyth Park to see the beautiful trees was worth it. After spending a few more days exploring Hilton Head, and soaking up the sun rays, it was time to start our journey back. Luckily, we still had our visit to Charleston on the list of places to stop. Unfortunately, we only had a day there and I probably could have used a week, or a permanent move. The houses on Battery Park were INCREDIBLE, and I definitely wouldn't have minded moving into one of those for good. The main shopping street, Kings Street, was filled with cute boutiques, and was definitely a prime shopping destination. You can't go wrong with finding the perfect store if you stroll up and down that street. Be sure to check out Candlefish, a new store in Charleston which allows you to pick out your own personal candle flavor. And if that isn't enough, you can stick around for one of their candle-making classes and learn how to make one yourself. I could list a bunch of great stores here, but it's probably best you go and explore yourself, I promise you will find some along your way. Also, be sure to make a stop at Sugar Bakery, which is close to Kings Street and The Commons Home store, nestled away near downtown. With all that shopping, your bound to need a lunch break, so check out our favorite sandwich spot, Butcher & the Bee. My favorite thing about Charleston of course was the mansions on Battery Park, so naturally I'll have to share all of those with you so you can help me to vote on which should be my future humble abode. Now, we didn't plan to make Baltimore a stop on our trip, but thank god we stopped there to get gas. In doing so, we came across the BEST architectural salvage place I have ever been to called Second Chance. Definitely worth stopping in if you are ever in the Baltimore area! Now... start searching and plan your next road trip. There are tons of great places to explore only a car ride away!! I am always on the look out for new companies that I can source from. I feel like we tend to all stay in our comfort zones when it comes to buying home decor, and there’s nothing wrong with that but its nice to change it up a bit. I figured that it might be cool to share my top five places to shop for home décor…feel free to share some of your favorites as well!! Known for their couches! you can modify them so that it fits perfectly in your space, as well as your budget. They will also send you free swatches so you can see it before you buy it. With Crate and Barrel quality and functionality to fit in any apartment, no matter the size. I love how modern and clean their lines are. Check it out for your self! I love how they offer a wide range a vintage pieces, it makes my job much easier when I am looking for a specific thing. And we can't forget about the cutest door hardware!! The best place to find one of a kind art work with custom framing!! What home design doesn't start with binge watching HGTV these days? I'm a designer in the field, and still find myself looking to HGTV for inspiration, and a little entertainment as well. As a designer you are constantly exposed to interiors, and varying styles and approaches to the design process. Often, HGTV gives an unrealistic image of the design process. No.. it is not possible to go into the first house you see, buy it, redo it in 15 minutes, and move in. In fact, a lot of effort and planning goes into making a perfect space. But, we cannot deny that it is entertaining! My personal favorite show on HGTV is Fixer Upper. Chip and Joanna Gaines know what they are doing. I'm not sure if its the comical nature of the Gaines' relationship, or the beautiful mix of country and transitional styles that comes from Joanna's designs. She is EXTREMELY talented and stays true to her style throughout every episode. Her designs are comfortable and livable, and even better- they take an old run-down hole in the wall and turn them into something beautiful. Every designer finds people to emanate, and for me Joanna is one of these people. Design should be comfortable and beautiful. We all have those celebrities in the back of our mind that we wish we could emulate on a daily basis, especially when it comes to different style ideas. Personally, I have a couple that I love watching and learning from, one of them being Taylor Swift. There is something so sweet and classic about most of Taylor’s outfits, which is very endearing and at most times classic. But, for those of you who didn’t get a chance to watch the Grammys this past Monday night, my girl Taylor Swift absolutely killed the red carpet. She really stepped it up and went out of her norm and wore one of my favorite outfits. The symmetry and lines of her outfit where still very similar to her usual sophisticated look but she changed it up by combining two colors that aren’t usually combined on the red carpet; pink and orange. Flash forward to today, where the little girl inside of me is freaking out because we finally get to play around with the combination of pink and orange and make it as sophisticated and cool a it was when we were 7. Take a look below!! If you're a fan of Robert DeNiro and Anne Hathaway then I'm sure you've already watched The Intern.. and you might possibly be considering a career change after seeing the amazing office set from the movie. If you haven't seen it... quit what you're doing and turn it on. It has to be one of my favorite movies to date, not only because of the cute storyline and cheeky jokes- but mainly because I finally know what my future office will be. So today we're going to take a stab at conquering this efficient and highly energetic office setting. And of course, Anne Hathaway has the cutest kitchen as well, so we can take a look at how to get that look too. This week I thought I would share with you the new inspiration I have for one of our client’s new master bedroom retreat. The couple was looking for a room that is multipurpose, as well as a space that they could retreat to at the end of a long day. I am making it my mission to mix in as many different natural elements and textures to really draw out the relaxing factor. It important to make a bedroom feel inspired and cool but also allows you to rest and take your mind off things. The last thing you want when designing a bedroom is to have it be overwhelming. Their budget is low so were doing our best to source different pieces at flea markets and craigslist, You'd be shocked at what some people try to give away!! Another way that we are going to save some money is by incorporating some DIY projects, so be on the look out for updates. 1. Street & Co. This is a MUST. Honestly, one of the best meals I have ever had. I highly recommend splitting the Lobster Diavlo. You definitely won't regret the decision, and you'll be sure to have some leftovers. Not to mention, the interior feels like you just stepped into Europe for the night, and features an open kitchen, so you can watch the food being prepared. I seriously didn't even like lobster until I ate here. 2. You must, you MUST wake up early and see the Sunrise. I also recommend going to the Standard Baking Co after for some fresh baked goods. You should probably get one of everything, because they are just too good you'll regret not trying a bite of each. 3. Soakology. You know every good weekend isn't complete without a spa trip. I tested out Soakology, which specializes in foot soaks and tea, and I definitely don't regret it. This place is the perfect sanctuary for relaxation, and it's right in the heart of Portland. Be sure to test out the Chai Tea, that was our fave! 6. Duckfat. I'm sure you'll be hungry again now, so you should probably go get the pountine. Just order it. I didn't get a chance to try the milkshakes, but I've heard they have the best around! 7. And of course.. everyone needs a good afternoon espresso. Definitely stop by the Portland Patisserie and Grand Cafe. Coffee is good.. but so aren't these gold chairs?! 8. Vena's Fizz House for some super cool cocktails. This is your place if you're looking for a place to go and grab a drink after dinner. This mixology shop specializes in making their own mixes and sodas, and the cocktail menu is funky and different. Totally worth giving it a try. Places to stay you ask..? Well, we stayed at the Inn at St.John for only $75 and it ended up being very clean, and the staff was super friendly, and it was only a short distance to downtown. Be careful because they do have some shared bathrooms in their rooms since the Inn is in an old home with all different rooms, but we lucked out and got upgraded when we arrived. Overall great experience staying there. That about sums up the list of my favorite places in Portland, and I was only there for 2 days, imagine what can be discovered if you spend more time there! I highly recommend taking a visit for the weekend, who doesn't love an opportunity to explore a new and wonderful place? Have you been to Portland before? Share with us your favorite places. Somehow its already that time to dust off those champagne glasses and ring in the New Year. With all of the hustle and bustle of trying to pull off the best Christmas yet, it can be hard to find the perfect New Years Eve outfit. Every year I always dream up this perfect outfit and then the time comes around for me to actually put it on, and I never do! This year I am making it my mission to get in the NYE spirit and wear something festive. I have put together some killer outfits that will help you bring in the New Year, no matter your plans. One of the first steps when meeting with a new client is for me to figure out what kind of style they associate with the most. As many of us know, finding your personal style can be a difficult and an ambiguous task. With trends coming and going and constantly changing it can sometimes be hard to stay true to one theme. This is why I suggest to my clients to gather as many images they can find that speak to them. The images can be anything from an editorial ad, interior space, outfit, and piece of art. Once I have all of the images I then try to find a common theme between them. I find that its much easier to have someone that knows you to look for the common theme between your images, that way you wont be stuck in your own head. Once you establish some common themes between your images, its time to put a label on it. I suggest coming up with a creative name that speaks to your style, this way you will always have an idea of a certain style direction to go in. It will also make it easier to make faster decisions during the design process. Don’t be worried if your themes are conflicting styles, this just means that you are open to more and will allow you to mix and match. For example, if your style name is feminine contemporary then you can disregard the more masculine muted colors that usually coexist with contemporary, and instead go with a pastel or floral fabric on the simple low profile sofa. When finding what styles speak most to you, it’s easiest to understand the more common styles. Once you understand each styles characteristics it will make it that much easier for you to mix and match styles. Minimalist design is simple, clean and modern. Much of the furniture that would be considered minimalist looks like modern art; clean straight lines. Avoids excessive accessories and decoration. 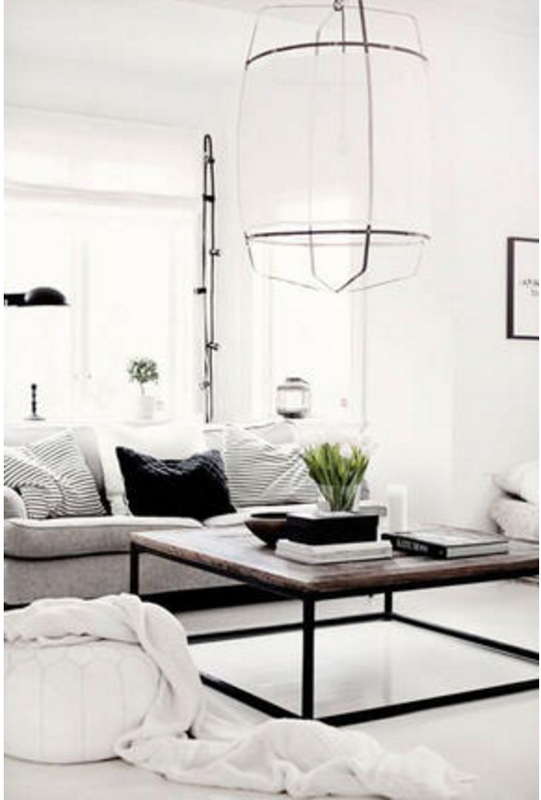 Colors always lean towards neutrals and whites. Contemporary is sleek and fundamental pieces. Unique furniture pieces, that is smooth, geometric, curved in shape. The negative shape is just as important as an object placed in the room. Industrial/ Urban is raw and rough surfaces. Things that were once practical like typewriters and old Edison light bulbs. The inner workings of the structure is usually exposed, Like support beams and piping. Open floor plan like loft living. Traditional is a warm and inviting sophistication. Many of the pieces speak to a historical time period. Many Soft and curved lines. Everything is usually a consistent muted tone. Attention to detail and balance is everything. Mid-Century Modern is perfectly put together masculine sleek. The smooth shapes reference a retro vibe. Geometric, bold patterns and neutrals combined to create a cohesive space. Furniture with tapered legs and long streamline sofas. Once you have a good understand of the basic styles it becomes that much easier to mix and match them. Don’t be afraid to have fun with it! That’s what design is all about, recreating in a new way. Sometimes being in the design world can become overwhelming, simply because everything is always changing. New ideas are constantly evolving into new furniture pieces, and trends come and go quicker than you can say "design!". So, it is easy to get in a rut when it comes to aesthetics and interior design, and getting out of that rut can be hard. It is easy to continue making designs that are like those that have been done before, reproductions if you will, because they exist, and are easy to redo. But, that is not the goal of any designer. The goal of a designer is to create new and useful designs that make sense for the client, and that enhance how people live; to create something that has never been done before. So, with that said, even the best designers need to look to others to see what they have done and how they came up with their ideas, and find inspiration, and then make it their own. Today, I'm going to share with you one of my all time favorite designers. Philippe Starck is a design icon. I'm sure you've heard of the ever so popular ghost chair? Well ladies and gents.. that was him. Talk about taking something and making it your own. His styles are simple, yet vastly innovative. And that right there folks is what makes him amazing. This what I mean, here we have a classic Baroque Louis XVI Chair, a historical masterpiece if you ask me. But, what Philippe does with the ghost chair is amazing. He takes this timeless classic and turns it into something simple, new and innovate. A little background about Philippe; He is a French designer that began his career in the 80's and has only grown since. He's most widely known for his furniture design, product design, and architecture. He is praised for his democratic design concept, where he believes that well-designed, quality objects should be available to more than just the elite. He does this in various ways; for example, using plastic for the ghost chair helps to cut down on costs. He is the master of taking things that have been done before and amping them up to a whole new level. Here are some of my very favorite works by Starck. Designing kid's bedrooms might just be one of my favorite things. There is so much design opportunity available in these rooms, simply because they allow for fun, pattern, color, and so much more than we would normally put in a space. But, sometimes it can become too much. So, it's important to find a balance between a design that is livable and fun, and one that is completely out there, and too over the top. Today, I'm gonna help you decide where to draw the line. 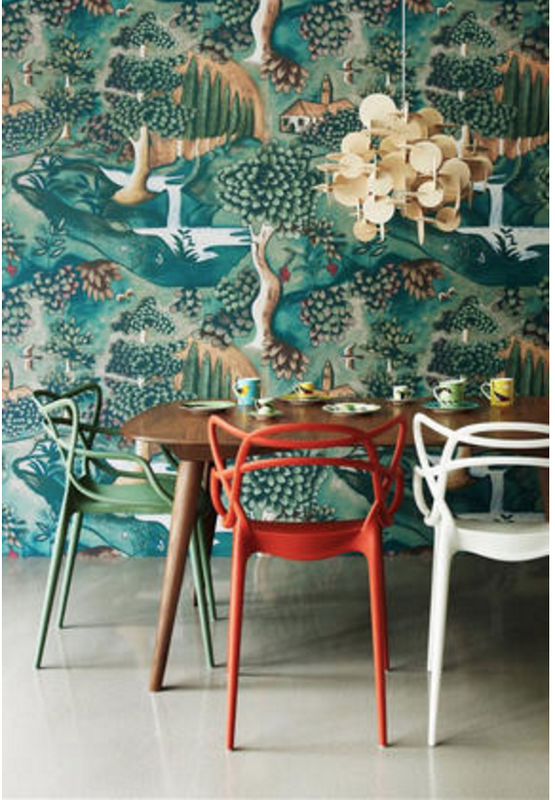 So, we all see those amazing wall coverings that might seem like too much to put anywhere in our home, but they are just so much fun, that we need to find a place. Well, this is where I say GO FOR IT. You're kids room is the perfect place to experiment with crazy pattern and color on the walls. Kids have a lot of energy, which should be reflected in the design of their room, so therefore, I say do it! Now, we all love those crazy ideas, like having a ship built into the architecture of the room, or a full playhouse shaped around the bed. Here's an idea that sounds good, but isn't the best design choice simply because kids grow up. Ideas like this are extremely hard to change. Learn from my personal experience... I decided it would be a great idea to make my room beach themed at age 12. I mean c'mon, what kid doesn't love a themed room? So, I convinced my contractor dad of the plan and we began the work. Now I didn't just want a beach theme, but I wanted my room to actually transform into a beach (thank you trading spaces boys vs girls for the inspiration!!).. aka.. I wanted sand on my floors, with plexiglass covering it so that it looked like and actually was sand.. IN MY ROOM! how cool. Well, my dad didn't think so because he explained to me that the cleanup wouldn't be easy when I more than likely changed my mind a year later. Well, he knew me too well. I cried explaining that he was ruining my design. Yes, I was a feisty little designer starting at age 12. So, I said fine, and settled for putting sand on the walls. So that is what we did.. we got the newest sand colored paint that actually had real sand in it to give a texture, and we painted the bottom half of my walls with this. The blue, ocean color top of the wall was separated from the sand with a bamboo chair rail. And yes, I mean real bamboo sticks that I made my dad cut in half and install on my walls. Well, my room was a dream.. up until 2 years later when I told my dad I had matured out of the beach theme and needed to paint my walls.. and there I found myself sanding off the sand paint for two weeks listening to my dad say "I told you so". That's when I learned that go big or go home is not always the best advice for designing a room. Keep designs simple but fun. And keep in mind... your kids will grow, and they will want their room to grow with them. Find temporary fixes to your kids big ideas. Now, this stuff can be an investment as furniture and rugs aren't cheap. So, choose pieces that can stick around for a while. Find staple items that can be used in the future, even if it means moving it to a different room. It's all about the transition when it comes to kids rooms. 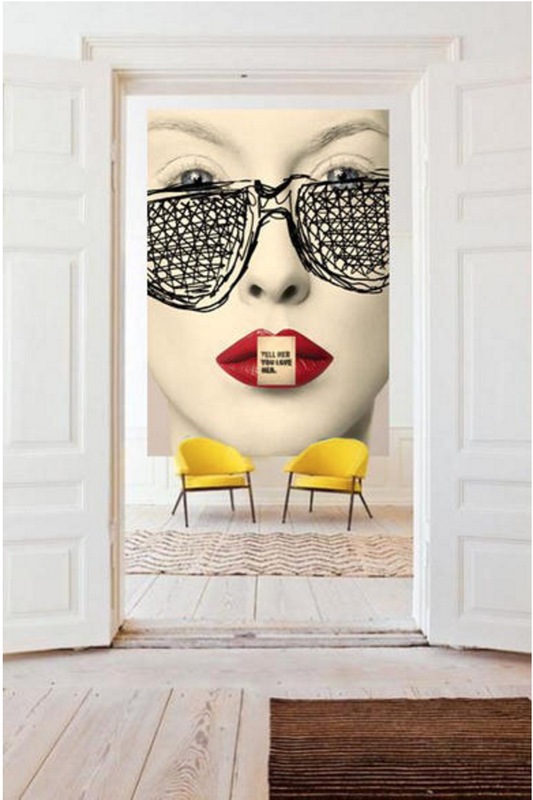 Make the room fun using paint, wall coverings, accessories, etc. ; things that are temporary and easy to replace. Keep the room with the style of the house. Don't make a space that scares your guests away when they open the door. Scary to think about, but one day, your kids will grow up and move on, go to college, etc. But, their room is going to stay with you. Now, as a recent college grad, I know that I would probably murder my parents if I came home and they took over my bedroom- might have something to do with the fact that according to me, it's perfect, but I don't want you to get stuck in this rut. So, this is why it's important to keep the design simple, and something that can be easily used as a well-designed guest room as well once your kids are gone. When designing a bathroom or kitchen its crucial to understand the different types of materials that you are bringing into your home, not only so you can pick the best looking one, but also so you can chose a material that fits into your lifestyle. Some people don’t want a countertop that’s going to require constant upkeep so instead of picking a marble you may want to consider choosing man-made quartz instead. The materials that you choose to bring into your home can change the space very easily and can be a big investment, so its important to do your research and make sure you know exactly what your getting. Check out our countertop round-up so you make a good educated selection. If you like marble countertops.. The most popular white marbles are Bianco Carrara which is known for its greyish white feathery veining; Calcutta, a more pure white with dramatic grey veining; and then the rarest of the white marbles, Statuario, it is laced with black and brown veining. Although marble is heat resistant its still very expensive and it requires constant upkeep, to keep it looking new. Believe it or not but concrete counter tops look very sleek and can add warmth to your kitchen or bathroom when used appropriately. Although concrete requires some maintenance with sealers it makes the perfect choice for a custom countertop and finish. Concrete can come in many different stains and you can adjust the thickness and inlays depending on the space and overall style you want. Concrete is so customizable that its easy to pick just about any pigment you want for your counter top. I'm sure we're all aware of the Mid-century modern trend seen almost everywhere right now. But what most of us don't know is the history behind it. So.. as much as I despise history here's a little Mid-Century Modern 101 to kickstart your Wednesday. Sometimes understanding the history behind something can make you truly appreciate it. Mid-Century Modern began in 1933 and went until about 1965. But, the style is defined by the 1950s. It began during a time where the US was the worlds strongest military power, and people began migrating towards the suburbs. It was a time filled with peace and prosperity and the fight for racial equality was at the forefront of American life. Palm Springs is most well known for Mid-Century modern style homes, but the style emanated all over the US. Mid-Century Modernism has its roots in Japanese design, Scandinavian design, and some Brazilian inspiration. People like Frank Lloyd Wright, Gropius, Le Corbusier, and Van der Rohe defined the style. Some of the design elements we loved today began in the 1950's. Things like open floor plans, multiple windows, post and beam architecture, and the focus on connections to the environment and the user. My favorite architect of the Mid-Centruy Modern time period was Eero Seraanin who was the Finnish- american architecture who designed the Gateway arch in St.Louis and the TWA Flight Center at JFK airport. He's also famous for his furniture design the tulip table and chairs- probably one of my most favorite pieces of furniture. Ludwig Mies Van der Rohe mentioned earlier was the one who said "less is more", and he designed our beloved Barcelona Chair. Another AMAZING designer of Mid-Century Modern was Arne Jacobsen- he designed the egg chair and the grand prix chair, among many other amazing industrial creations. Never thought I would say this.. but sometimes history is cool, especially in design when we see these trends come back in new forms. But, being able to truly appreciate the styles you decide to place in your home will make your design that much more rewarding. 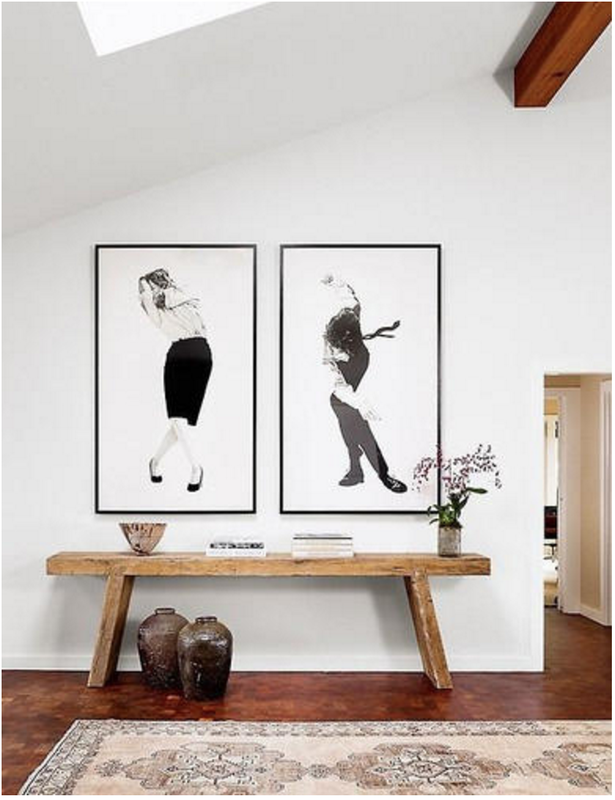 Finding art for a space is one of the hardest things to do when designing a room. Whether you are using the piece of art as the inspiration for the room or the finishing touches its important to understand how to choose the perfect piece. Choosing art adds this certain pressure to find the right piece that adds character and depth to the space. When it comes to buying art you want it to speak to you, there’s nothing worst then hanging up a piece of art that doesn’t evoke any emotion. Color: The overall color scheme of the room plays an important role when selecting art. If the room is filled with neutral colors and straight lines you may consider a piece that adds a little color to the room. On the other hand if the room is full of color then you may want to stick to a more neutral piece, that acts as a visual break. A black and white photograph or a monochromatic painting would be great neutrals that still add some emotion and depth to the space. Scale: The scale of any piece is arguably the most important rule of thumb when it comes to sourcing art. The worst thing is to come home with your favorite piece and realize that its too big for the space, or worst, that its just foaling in the middle of your wall. The best ways to avoid this problem is measure the space and then bring the measurements to the store with you. Meaning: As I stated above, its important that you truly love the art that you decide to hang on your wall. You want it to share a story that speaks to you, because in the end the job of art is to evoke a certain type of emotion from its viewer. A good safe choice for art is photographs of your family. Black, ah, for some reason, I can't stray from black and white. As much as I love pattern and color, black and white are just really hitting home in the design world for me. Many think that using black and white is being safe, and uncreative, but I think the opposite is true. We don't talk much about exterior design on here, so I'm going to show you today how it is totally possible to be bold using black, especially when it relates to the exterior. How hot are these all black exteriors?! If you want to go bold, I suggest looking at the basics first. I've always wanted to go and explore Chicago. I'd heard about the rich culture of art and design (right up my alley) and never got around to going. I finally bit the bullet and bought plane tickets and went to explore this past weekend... and what I found was amazing! I'm officially obsessed with the city. I'm an avid reader of The Everygirl blog, if you haven't heard of it, i suggest you do so. They are based in Chicago and offered a weekend itinerary for visiting, and that's what I based my trip off of. They really nailed it! I wasn't disappointed with any of the restaurants, shopping areas, or the hotel we stayed at. So.. let me take you on a little journey of my weekend. Oh, ps... totally moving to Chicago at some point since I absolutely fell in love with the city. And if you aren't considering moving there, I highly recommend going for a long weekend. It was really easy to get to, only two hours from Providence and Boston! Woke up at 2am to catch the 5:30 flight. Early, but totally worth it for the cheap fare and no loss of a day when you get there! We were starving upon arrival so decided to go to The Little Goat Diner after checking into our hotel, the Wit, which was located right downtown next to the train stop. Unbelievable food, and of course, adorable interior design. And as if the first coffee wasn't enough.. I couldn't resist getting another one an hour later when I came across the Doughnut Vault. My word of advice for this place: Definitely worth it, but get there early if you want a donut.. they run out so fast! Of course a weekend in Chicago is meant for shopping.. so strolling the Magnificent Mile was of course a necessity. Also, if you're in town at the right time.. you HAVE to get to the Randolph Street market. So many finds & great enpanadas and millions of other snacks. Definitely worth taking a trip to Armitage Ave if you are looking to get in some good shopping. Make sure to leave yourself plenty of time! Especially on the weekends, stuff closes around 5 or 6. Don't make the mistake we did and get there too late that you can't get to every store! And of course, you'll probably need a snack, so make sure to stop at Le Pain Quotidien, that was our favorite!